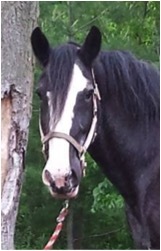 Bayou is a 12 year old Percheron Quarter Horse cross gelding, Bayou is a trick riding horse and enjoys spending his time in the performance arena. Bayou’s favourite moments are when he gets to meet everyone after his shows to say hello! When he’s not trick riding and performing for amazing audiences like you, Bayou enjoys going for long trail rides and tends to be very lazy! Bayou sure loves his sleep! Bayou is so excited to meet all of you at HorsePower Live! 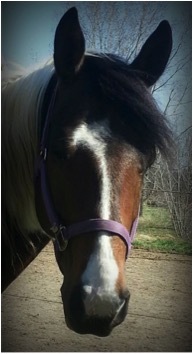 Aztec is a 12 year old Belgian Quarter Horse cross gelding. Aztec loves being a trick riding horse because he gets to run as fast as he wants! Aztec likes to race with the other horses in his spare time and absolutely loves to play games! Aztec’s favourite treats are carrots and he loves to travel across Ontario performing for incredible audiences everywhere! 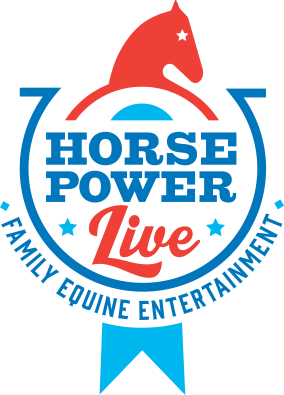 Aztec can’t wait to perform with HorsePower Live! 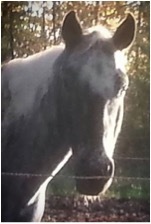 Calypso is a 9 year old Appaloosa mare who loves to play games in the field with the other horses! Calypso tends to always find a way to entertain herself with whatever she can find! In her spare time, Calypso enjoys jumping and doing pole bending and barrel racing, pushing to go even faster every time! Calypso is so excited to share her fun experiences with you! 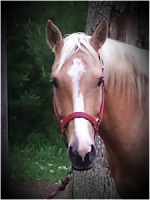 Dexter is a 6 year old Palomino Quarterhorse gelding who loves to trick ride and play games! Dexter enjoys playing with the other horses in his spare time and tends to always dig into the treat bag! Dexter is so excited to join his new friends of HorsePower Live! 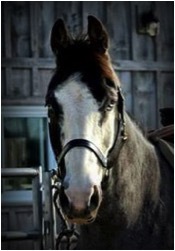 Jasper is a 7 year old Thoroughbred gelding who loves stretch out and lay in the sun. Jasper enjoys jumping and racing with the other horses in the field. Jasper loves almost every flavoured treats and can’t wait to meet everyone this season! 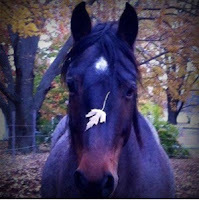 Nico is a 10 year old Miniature horse gelding who loves to play with his little friend Pablo! Nico enjoys eating lots of carrots and loves to run loose in the field while playing his own version of the game “tag”! Nico is so excited to play games with all of the horses of HorsePower Live! Pablo is a 10 year old Miniature horse gelding and loves to eat apples and carrots as well as running loose in the field with his best friend Nico! Pablo enjoys playing games in the field and loves to run and kick up his heels! 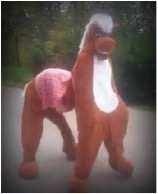 Pablo is excited to join the HorsePower Live crew this year and perform for amazing audiences everywhere! Morgan is a 14 year old Clydesdale mare, Morgan enjoys helping out to pull logs and trees out of the way when they tumble down from strong winds! 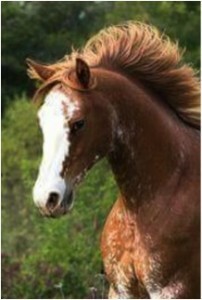 Morgan is one of the many large breeds and loves to perform alongside her other equine friends. Morgan is so excited to perform and “strut her stuff” for all of you this year! Blue is a Blue Roan Quarterhorse gelding who enjoys traveling across Ontario with the Ram Rodeo Tour, Blue also enjoys helping out Amber Marshall when she comes down to visit! Did you know that Blue is deaf? He can’t hear anything! Blue doesn’t let that affect his fun though because he loves to play games with the horses at HorsePower Live! Frosty is a Buckskin Quarterhorse gelding who enjoys travelling with the Ram Rodeo Tour alongside his friend Blue! Frosty loves to be in the arena as he gets to compete in gaming events and watch his friends play along too! Frosty can’t wait to meet you all at HorsePower Live! 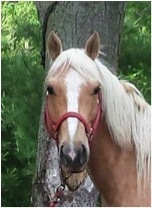 Nateri is a 4 year old Palomino Quarterhorse mare. Nateri has just started as a drill horse and is excited to join us here at HorsePower Live! When she is not practicing maneuvers, Nateri enjoys playing in the water buckets and making a mess! Scooter is a 3 year old registered North American Hip- hop horse! Whenever he hears a beat he just cannot contain his feet! Scooter loves to boogie and groove to all kinds of tunes! Scooter cannot wait to move and groove with you at HorsePower Live this year! 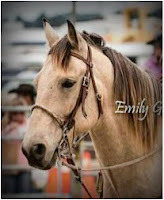 Atreyu is a 5 year old blue roan Quarter horse gelding. Atreyu is quite young and he gets very excited. His favourite thing to do is play games with the other horses in the field. He often tries to run with the older horses and tends to always find himself making new friends every day! Atreyu is so excited to become a drill horse and be able to compete in gaming events with HP Live this year! Malik is an 8 year old Arabian cross gelding. His best friend is Crowley and he loves to race against his other Arabian friend. Malik will be coming to HP Live this year to learn the ropes with the help from all of his friends! 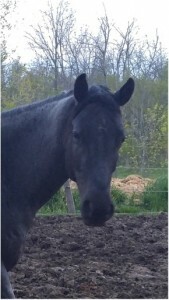 Crowley is an 8 year old Arabian cross gelding. He enjoys racing against his friends and he never get tired! Crowley loves to show off his amazing stamina while fleeing across the desert arenas with HP Live. This speedy little guy is so excited to meet everyone along the trail this year and he is so glad to be joining in all the fun! 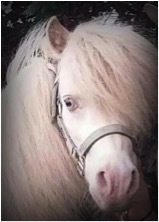 Titan is a 10 year old Shetland pony. He enjoys giving pony rides in his spare time as well as playing with the bigger horses. Titan love his food and will do anything to stop for a snack break! He is quite the jokester and he loves to give off a smile! 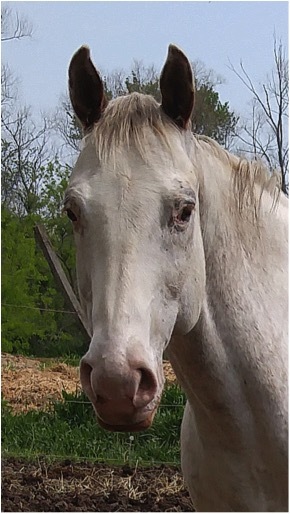 Dyami, a 10 year old white Appaloosa gelding, has no markings other than his brown ears. He love to kick up his heels whenever he can (sometimes when he is working, too!) When it is time to perform, Dyami is often flicking his tail back and forth as this is his favourite way to tell us he is having fun. His favourite treats are peppermints, as he absolutely loves them! 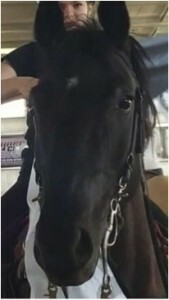 This year, Dyami will be performing as a drill and gaming horse as he practices and works towards his dream of becoming a trick riding horse! 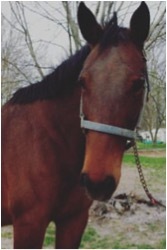 Winnie is a 7 year old Standardbred mare who loves to cuddle! She loves sour candies and is often found rolling and playing in the mud. Winnie is working towards becoming a drill with with HP Live and can’t wait to meet all of you!